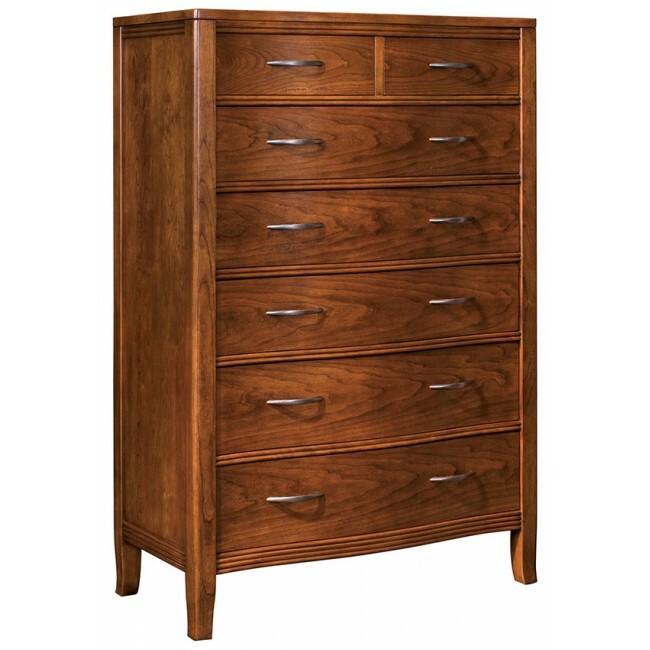 Seven spacious drawers. Serpentine front. Reeded design motif. Softened edges. Flush top. Sliding jewelry tray in top right drawer. Fabricated from Cherry.